We offer a variety of evidence-based yoga and movement classes sure to meet your needs. This unique class is designed to enhance your mobility and promote stability. Self-massage incorporating therapy balls, elements of movement science, traditional yoga postures, strengthening exercises with resistance bands, breathing techniques and mindfulness exercises are all integrated in an enjoyable, welcoming environment. 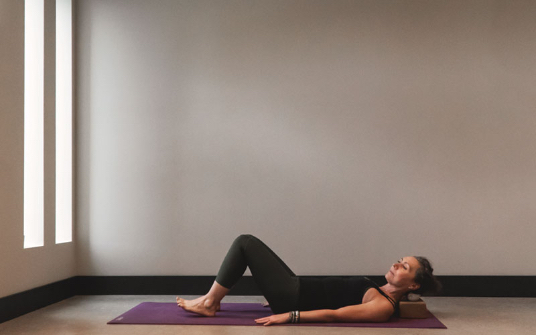 This fun yoga class is a blend of strength, flexibility and stability. You can expect creative sequencing and sound biomechanics in these classes. Our level 2/3 class offers similar elements of the level 2 class with opportunities to explore arm balances and inversions. Level 1 | A gentle class open to all. Level 1/2 | Also accessible to all, typically includes flexibility, strength and stability. Level 2 | A more physical class, including flexibility, strength and stability. 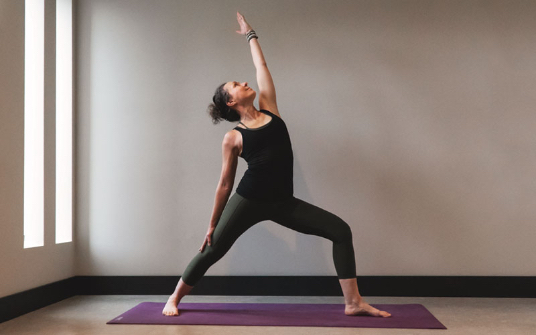 Level 2/3 | An even more physical class with a focus on flexibility, strength and stability, with the option to explore more challenging yoga postures, such as arm balances and inversions.